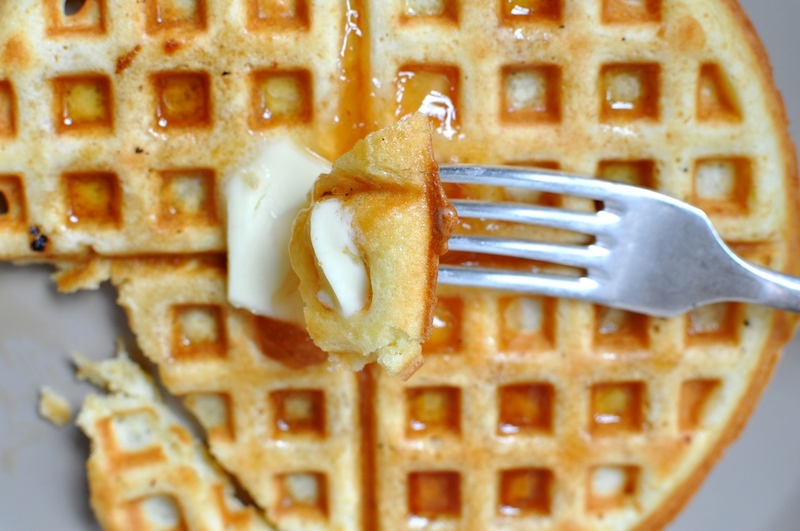 Recipe: Pantry waffles — Will It Waffle? Allison Levitt is half of the husband-and-wife team responsible for the waffled brandade. When I asked for her favorite waffle recipe, this is what she shared. She didn't call them "pantry waffles"; I did. Of all the waffle recipes I'm presenting, these are certainly the ones that can be whipped up without any thought ahead of time. This is the recipe my dad used when he made Sunday breakfast for us kids. Our mom was the cook in the family when it came to dinner, but on weekends our dad would often throw down with some awesome breakfasts. Still love this recipe. 3. Add wet to dry. I especially love that this recipe calls for pretty normal pantry ingredients. Sometimes that makes cooking at home so much more appealing, not having to run out for the item you don't have on hand. Especially if you're still on your first cup of coffee.